A final confrontation with Morrigan! "Never follow me." With these words, Morrigan vanished into the shadows. Her plans and her whereabouts have remained a mystery... until now. But whether you seek answers, revenge, or reconciliation with your lost love, you may find more than you bargained for. From the main menu, select New Game. Then, either import your character from Origins, Awakening, or the Golems of Amgarrak, or create a new, high-level hero! REQUIRES LATEST TITLE UPDATE FOR DRAGON AGE: ORIGINS (installed automatically if you play while connected to Xbox LIVE). This content is not available in Russian or Polish. There are no refunds for this item. For more information, see www.xbox.com/live/accounts. The battle of Ostagar laid waste to your order and claimed the lives of many great men and women, including the brash King Cailan and your mentor, Duncan. 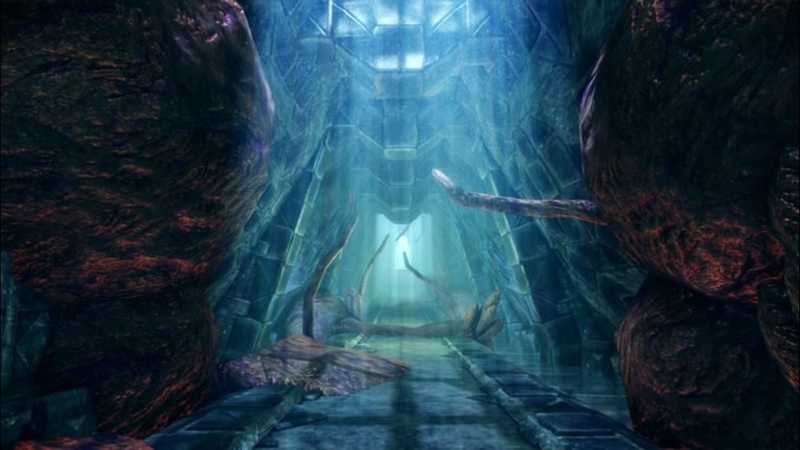 Now, there are rumors that a fellow survivor of the battle has escaped from captivity and is seeking the Grey Wardens' help. 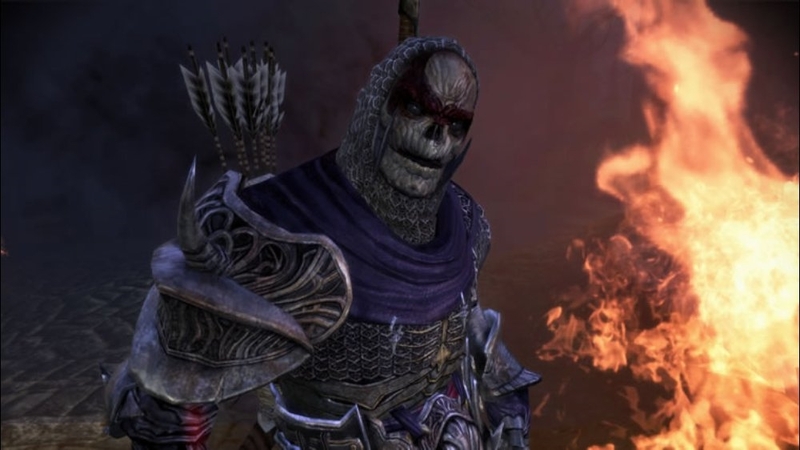 The time has come to make your return to Ostagar and exact revenge upon the darkspawn. Includes: (1) A return to the battlefields of Ostagar, now thick with darkspawn encamped amidst the snow. (2) An opportunity to regain the lost arms and armor of a king. (3) A second chance to add Dog to your party. 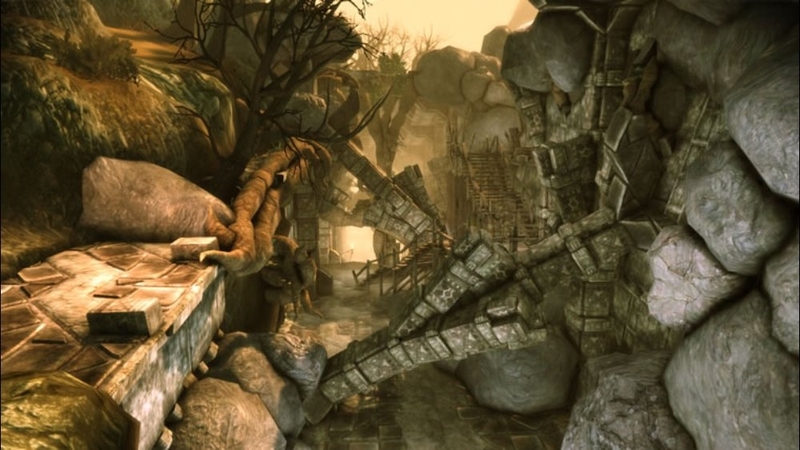 To find the survivor: (1) Play through Dragon Age: Origins until after the village of Lothering. (2) Travel to Bann Loren's Lands along the Bannorn's northwest border. There are no refunds for this item. For more information, see www.xbox.com/live/accounts. 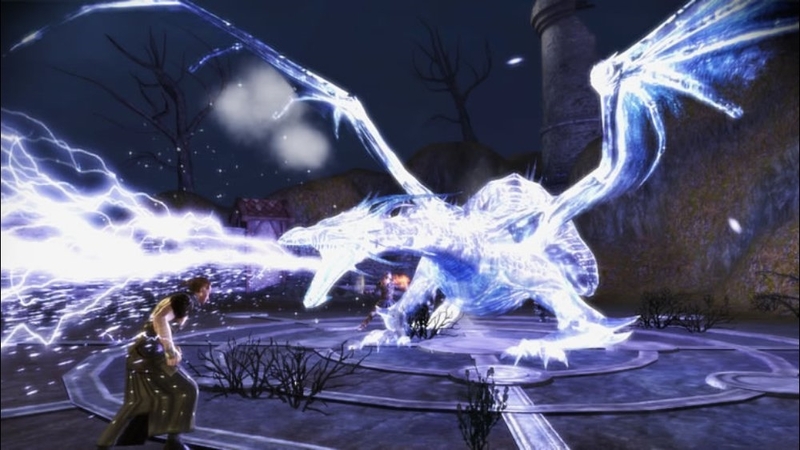 Some versions of Dragon Age: Origins contain a redemption code to obtain this content for free. Check your game's packaging before purchasing. 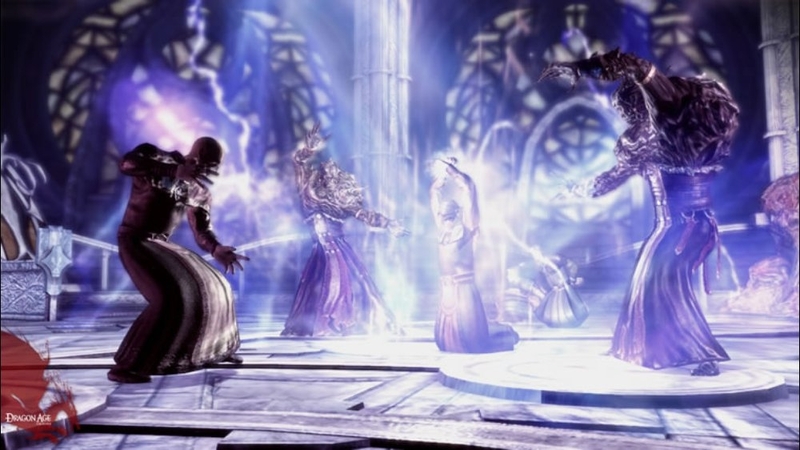 Crafted by the ancient dwarves as their first line of defense against the darkspawn, the dread sentinels known as golems dwindled in number after the art of their creation was lost. Shale, one of the few golems remaining, was found in the Deep Roads, reactivated and brought to the surface, and may prove to be the Grey Wardens' most effective weapon against the onslaught of the Blight. 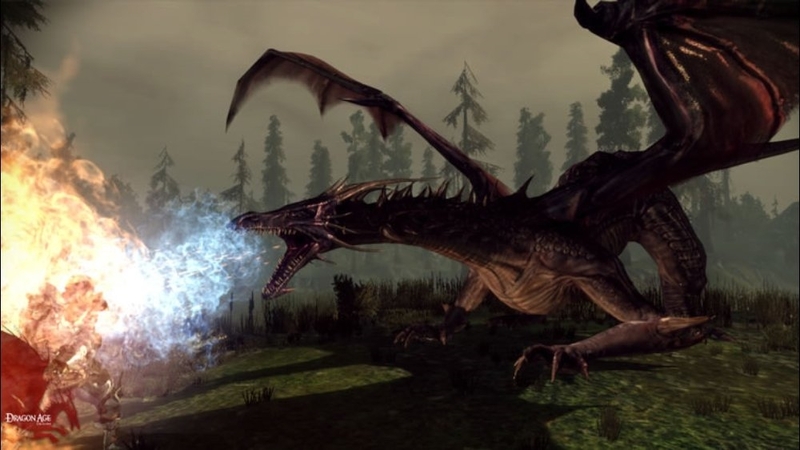 Includes: (1) Shale, a unique and powerful golem, as a recruitable party member who is fully integrated into the main Dragon Age: Origins campaign. (2) Brand new plots and adventure areas. (3) Fantastic new items. There are no refunds for this item. For more information, see www.xbox.com/live/accounts. Two centuries ago, the Grey Wardens were expelled from Ferelden amidst a storm of blood and betrayal. Their fortress remains at remote Soldier's Peak, overgrown and reportedly haunted. Now comes a chance to unearth this lost chapter of Grey Warden history, to unravel the mystery behind its fall, and finally reclaim it for the order! To begin the journey to Soldier's Peak, return to your party camp from the world map and seek out a merchant named Levi Dryden. Includes: (1) A fun dungeon-delving adventure; (2) A set of ancient Grey Warden armor, complete with heraldry; (3) A chance to gain two of six mysterious new abilities. (4) A new base complete with merchants and a party chest to store your hard-earned loot. There are no refunds for this item. For more information, see www.xbox.com/live/accounts. 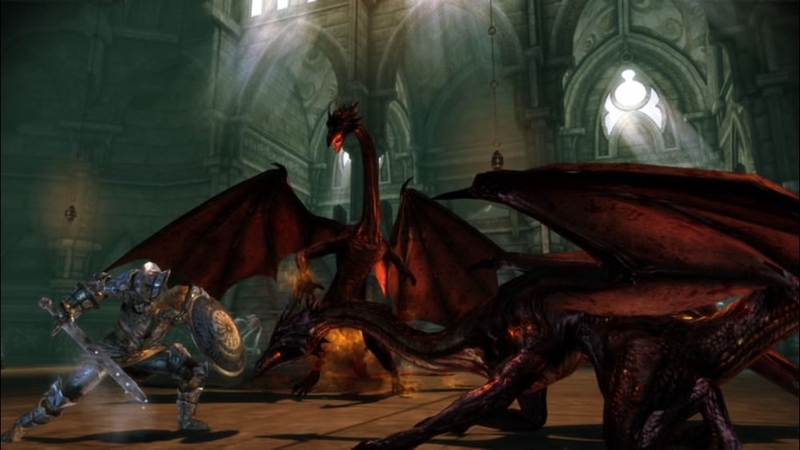 REQUIRES LATEST TITLE UPDATE FOR DRAGON AGE: ORIGINS (installed automatically if you play while connected to Xbox LIVE). The archdemon lies dead--and yet in coastal Amaranthine, strange darkspawn still plague the land. As the newly appointed commander of the Grey Wardens, you must rebuild your shattered stronghold, recruit new Wardens to the cause, and defeat this terrifying menace. Includes: (1) A brand new campaign. (2) Five new party members -- plus the return of an old favorite. (3) Six new specializations. (4) Nearly 70 new player abilities. To begin this epic adventure: From the main menu, select New Game, then either import your character from Dragon Age: Origins or create a new, high-level hero! There are no refunds for this item. For more information, see www.xbox.com/live/accounts. NOTE: This adventure is extremely challenging. The dwarves' lost thaigs, forgotten for a thousand years, are finally within reach. Among them is Amgarrak, once home to scholars intent on rediscovering Caridin's art of golemcraft. But an expedition to the ruins has gone missing. Only you can uncover the gruesome fate that befell them. From the main menu, select New Game. Then, either import your character from Origins or Awakening or create a new, high-level hero! REQUIRES LATEST TITLE UPDATE FOR DRAGON AGE: ORIGINS (installed automatically if you play while connected to Xbox LIVE). This content is not available in Russian or Polish. There are no refunds for this item. For more information, see www.xbox.com/live/accounts. The Legion of the Dead are known for their bravery and this grim, iconic armor. There are no refunds for this item. For more information, see www.xbox.com/live/accounts. 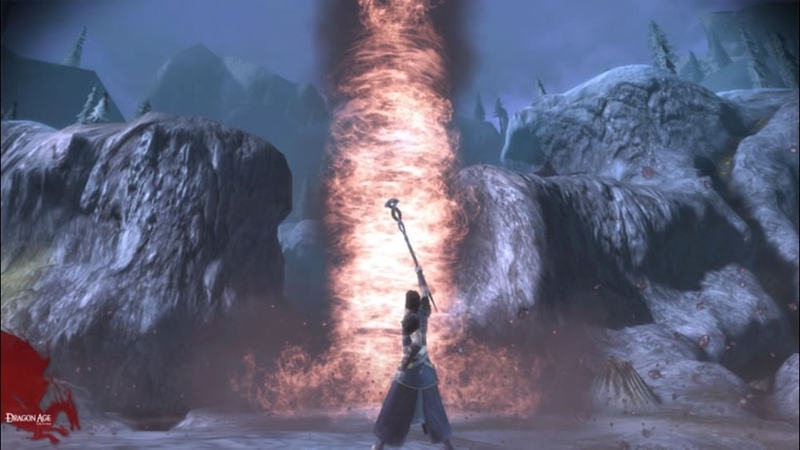 Blackened by eldritch fire, a staff is the perfect conduit for those who would smite their enemies with magical power. There are no refunds for this item. For more information, see www.xbox.com/live/accounts. Proudly fly the symbol of the blood dragon while protecting your avatar with this suit of heavy armor. There are no refunds for this item. For more information, see www.xbox.com/live/accounts. Designed to evoke the iconic skull of the legion of the dead, this helmet offers grim protection. There are no refunds for this item. For more information, see www.xbox.com/live/accounts. Heavy head protection in brilliant gold, fit for royalty. There are no refunds for this item. For more information, see www.xbox.com/live/accounts. Feel like a king in this custom golden plate, fit for Ferelden's royalty. There are no refunds for this item. For more information, see www.xbox.com/live/accounts. Feel like a queen in this custom golden plate, fit for Ferelden's royalty. There are no refunds for this item. For more information, see www.xbox.com/live/accounts. Commander of Ferelden's Grey Wardens, Duncan's iron will carried the Wardens though dark times. In peace, vigilance. In war, victory. In death, sacrifice. There are no refunds for this item. For more information, see www.xbox.com/live/accounts. Defend yourself from the blight in this sturdy heavy helmet. There are no refunds for this item. For more information, see www.xbox.com/live/accounts. Feeling mysterious? Like you have an agenda of your own? Then slip into the robes of Morrigan, the witch of the wilds. There are no refunds for this item. For more information, see www.xbox.com/live/accounts. "And now we come to the joining…" This goblet is a central part of an ancient ritual which all Grey Wardens must endure. There are no refunds for this item. For more information, see www.xbox.com/live/accounts. A standalone adventure in which you play as Leliana during the mission--and betrayal--that changed her forever. It is years before the Blight, and Leliana is a young bard whose curiosities run more to passion than to the Chant of Light. Her mentor, Marjolaine, is determined to inflict the Orlesian game of intrigue on Ferelden. It is a time of adventure and excitement. And it cannot last. From the main menu, select New Game, then select Leliana's Song. 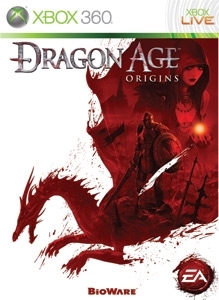 REQUIRES LATEST TITLE UPDATE FOR DRAGON AGE: ORIGINS (installed automatically if you play while connected to Xbox LIVE). This content is not available in Russian or Polish. There are no refunds for this item. For more information, see www.xbox.com/live/accounts. 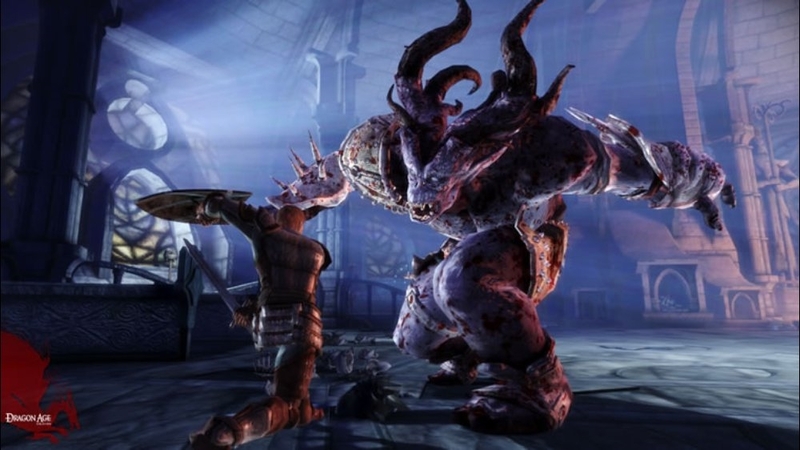 Play as the darkspawn! The city of Denerim, jewel of Ferelden, girds itself for war. As a hurlock vanguard, you alone hold the power to make thralls of your fellow darkspawn and drive them into the heat of battle. Heed the archdemon's call--Denerim must burn! Includes: (1) A standalone adventure in which you command genlocks, hurlocks, shrieks, and even the mighty ogres. 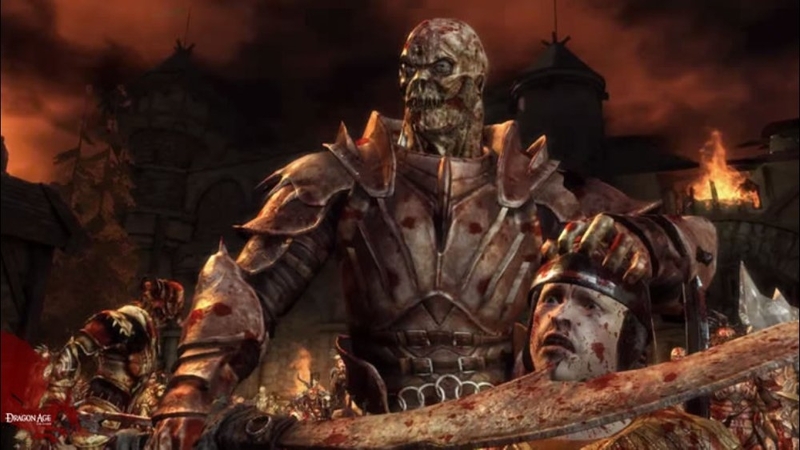 (2) A look at an alternate history: what if your character had died in the Joining ceremony, and the Wardens marched under Alistair's command instead? To begin this dark new tale: From the main menu, select New Game, then select The Darkspawn Chronicles. REQUIRES LATEST TITLE UPDATE FOR DRAGON AGE: ORIGINS (installed automatically if you play while connected to Xbox LIVE). There are no refunds for this item. For more information, see www.xbox.com/live/accounts. The city of Denerim, jewel of Ferelden, girds itself for war. As a hurlock vanguard, you alone hold the power to make thralls of your fellow darkspawn and drive them into the heat of battle. Heed the archdemon's call--Denerim must burn! NOTE: TO BUY BOTH FEASTDAY GIFTS AND FEASTDAY PRANKS AT A DISCOUNT, PURCHASE THE FEASTDAY COMBO PACK INSTEAD! Throughout Thedas, the great holiday of Satinalia is marked by sumptuous feasts, wild celebration, and naming the town fool as ruler for a day. Amid the feasting, it is customary for friends and traveling companions to play pranks on each other. To access this content, you will need to be able to visit the merchant Bodahn in the party camp. Includes: (1) Ten unique feastday pranks that your party members will love to hate. Each prank is specific to one potential companion. (2) Two types of gifts to let you apologize afterward. Requires Dragon Age: Origins save game to play. There are no refunds for this item. For more information, see www.xbox.com/live/accounts. NOTE: TO BUY BOTH FEASTDAY GIFTS AND FEASTDAY PRANKS AT A DISCOUNT, PURCHASE THE FEASTDAY COMBO PACK INSTEAD! Throughout Thedas, the great holiday of Satinalia is marked by sumptuous feasts, wild celebration, and naming the town fool as ruler for a day. Amid the feasting, it is customary for friends, lovers, and traveling companions to exchange gifts. To access this content, you will need to be able to visit the merchant Bodahn in the party camp. Includes: (1) Ten unique feastday gifts that your party members are sure to love. Each gift is specific to one potential companion. (2) Two types of lousy gifts to let your companions know you weren't completely serious. Requires Dragon Age: Origins save game to play. There are no refunds for this item. For more information, see www.xbox.com/live/accounts. NOTE: FEASTDAY COMBO PACK INCLUDES THE CONTENT OF BOTH FEASTDAY GIFTS AND FEASTDAY PRANKS, WHICH ALSO AVAILABLE SEPARATELY. Throughout Thedas, the great holiday of Satinalia is marked by sumptuous feasts, wild celebration, and naming the town fool as ruler for a day. Amid the feasting, it is customary for friends, lovers, and traveling companions to exchange gifts and pranks. To access this content, you will need to be able to visit the merchant Bodahn in the party camp. Includes: All the content from both Feastday Gifts and Feastday Pranks. To find the items: Bodahn stocks the gifts and pranks in his store at the party camp year-round. Requires Dragon Age: Origins save game to play. There are no refunds for this item. For more information, see www.xbox.com/live/accounts. 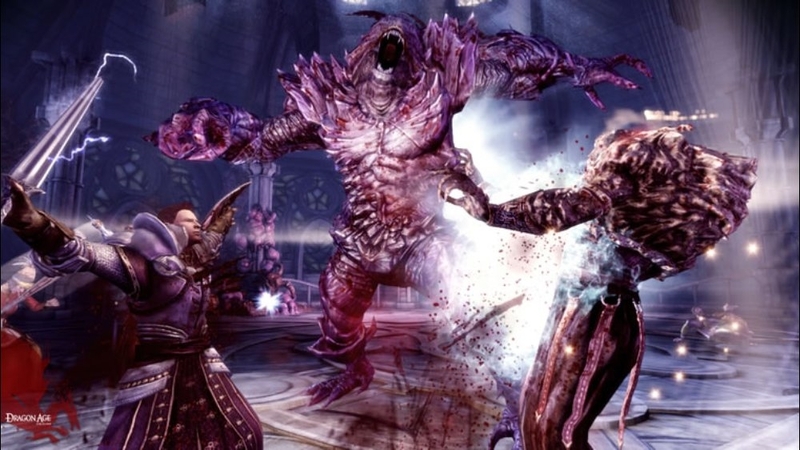 Designed and written by the same team that brought you Dragon Age: Origins, the Awakening expansion pack offers a brand new area of the world to explore known as Amaranthine, featuring an epic story that will allow players to unravel the secrets of the darkspawn - and their true motivations! Dragon Age: Origins – Awakening provides exciting new ways for players to customize their heroes and party, including the ability to re-spec their character attributes, allowing even greater customization and replayability. Featuring an increased level cap, new spells, abilities, specializations and items, plus five all-new party members, players can continue their adventures from Dragon Age, or begin with a brand new party. Get this accessory from the Dragon Age: Origins collection! There are no refunds for this item. For more information, see www.xbox.com/live/accounts.